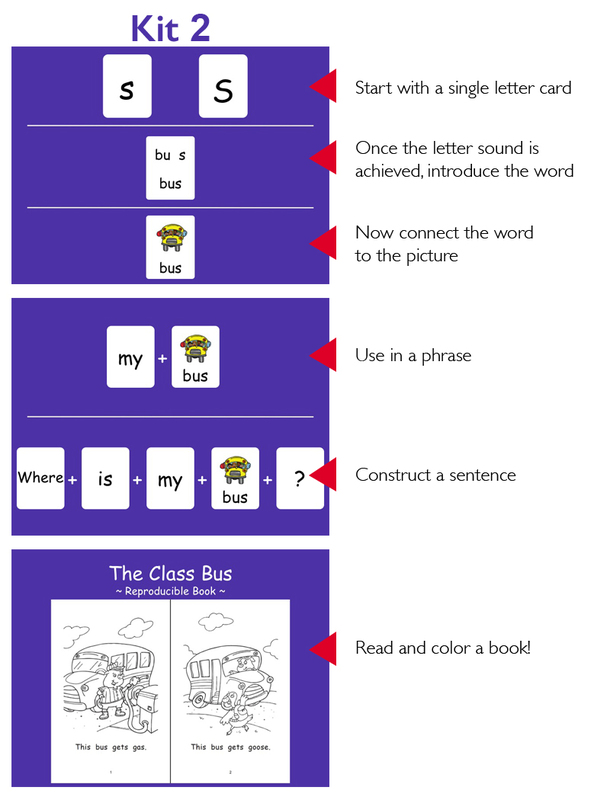 Systematic program to target articulation and literacy skills simultaneously! Literacy Speaks! is based on orthographic instruction (printed cues) and allows you to introduce children to sound-letter correlations using a sound-targeted approach while displaying essential sight words. Using the natural progression of letters-to-literacy, children develop literacy skills, expand language, enhance phonological awareness, and improve speech intelligibility - all simultaneously! This strategy not only corrects articulation and motor-planning errors but provides students with an early literacy foundation that encourages successful development of reading skills. Click here to view progression. Taking a few minutes to read a book that introduces the target sound is an easy way to begin a therapy session. Start with a single letter card. Identify the letter and introduce the sound correlation. These help children learn letter shapes while producing target sounds. Go on a letter hunt. Engage students in a fun and functional method to find target sound-letter correlations in various environments. Once the sound is achieved, introduce the word. Don't reveal the pictures until after the target sound is pronounced correctly at the blended word level with printed cues! These encourage generalization of targeted sounds at the word level in classrooms and at home. Introduce sight word cards and combine sight word cards with the target word cards to establish target words in phrases. Don't reveal the picture until after the target sound is pronounced correctly at the blended word level with the printed cues. Continue to use the sight word cards combined with target word cards to turn the target words into sentences. Start small and eventually see if your student can choose different cards to create a sentence. Create a storybook and read it with your student. Children love these whimsical books and have such a sense of accomplishment once they are able to read them out loud themselves. Just imagine their smile! Read to a child today and you will build the literacy foundations for tomorrow!